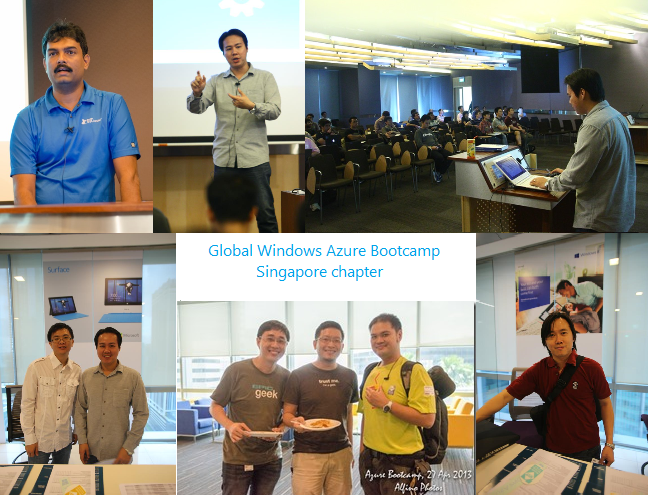 The Global Windows Azure Bootcamp is a the BIGGEST global MVP-driven roadshows to date. MVPs worldwide offer a full day of Windows Azure training completely for FREE on the same day – April 27, 2013. It was a magnificent reach of a total of 154 speakers, 194 sessions, 7,432 attendees in 96 locations! This event was sparked off from the idea of Sweden Windows Azure MVP Magnus Martensson, who has written the training kit and hosting all of the content on his site. Using these resources, and with the help of worldwide MVPs to lead the same session in their respective country, the Azure Bootcamp is now by far the largest MVP-led event! The one day deep dive class focus on developing for Windows Azure, with deep real world experience and a series of labs to practice what you’ve learned. 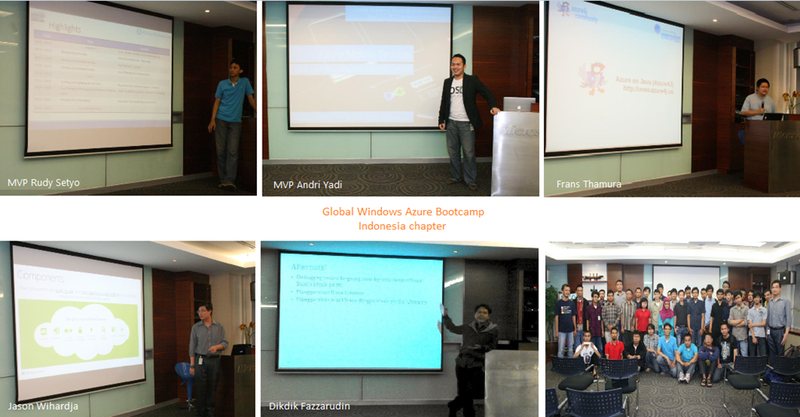 10 SEA MVPs from Indonesia, Singapore and Philippines join the worldwide movement to lead the Windows Azure Bootcamp in their local countries respectively. They took on roles as the main organizers, speakers and volunteers to run the entire event from technical overview sessions to deep dive labs and Q&A. Not forgetting, with the support from the 7 community influencers and Microsoft office colleagues together with SEA MVP Team, the events were a huge success!